Kenwood KVT-524DVD is a fully motorised 7 inch touchscreen DVD indash monitor. Packed with features, iPod direct control, auxilliary input, USB input, Bluetooth handsfree ready, just to name a few. 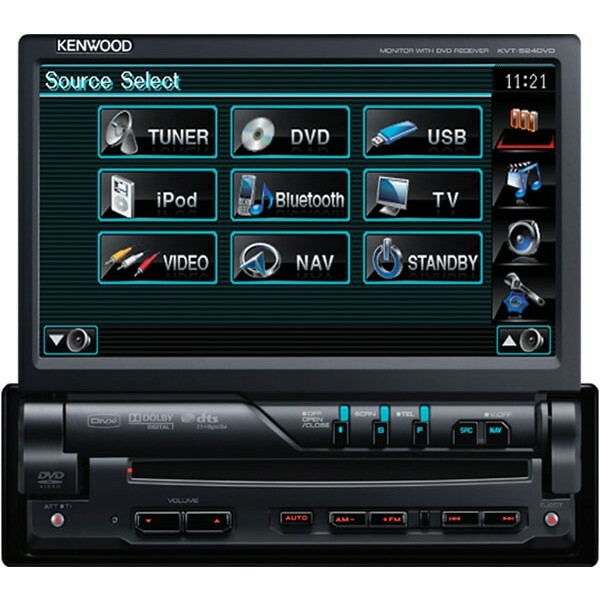 Kenwood KVT-524DVD also plays all major digital file formats - for example, MP3, WMA, AAC. MPEG, DivX, JPG, etc. Kenwood KVT-524DVD used a 1 box design, which means there is no hideaway unit. Makes installation easier. 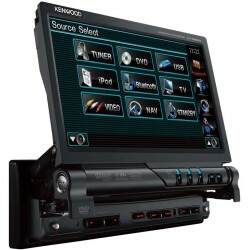 Kenwood KVT-524DVD also have penty of room for expansion. With optional adapter for features such as, Sat Navs, Bluetooth handsfree and audio streaming, steering wheel remote, etc. very good unit, easy to use, good sound quality, lots of features. Sometimes is a bit slow from turning the ignition to music playing but apart from that very good.